Google had for years been the ruler of Pay Per Click advertising through their Google AdWords. 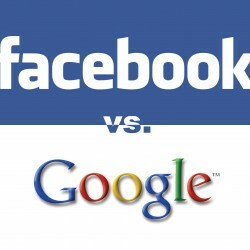 However, Facebook entered the stage with a whole new take and perspective on Pay Per Click advertising. Though AdWords still have a tight rope on the market, Facebook is threatening to take this bull by the horns and hopefully emerge as the undisputed champion in online advertising. Facebook has over 900 million users and more 1 Trillion pages are viewed each month. With such numbers, businesses obviously have a large audience for their products and services and this audience can be accessed through targeted advertising. There are very many similarities between Pay Per Click advertising campaigns on Facebook and Google, but these two ways of advertising also have some striking differences. Any online business that is considering Pay Per Click advertising on either Google or Facebook should first understand what the differences are and which one is best for their business. The first difference is that the two advertising campaigns have different ways of targeting potential customers. Google AdWords use keywords that are arrived at after careful research. Users key in the keywords, and advertisements that deal in the keyword are highlighted. The use of keywords helps businesspeople who are using Google AdWords to target an audience that could be prospective customers for their products or services. Facebook on the other hand targets users depending on the data that they provided on their profile when they signed up. Advertisers therefore target people of particular relationship status, age or gender. Keywords are also used here but in this case, the keywords identify individuals based on their hobbies, books and interests. However, Google AdWords are much more complicated. There are so many options that a business person can use to create and even monitor their advertisement campaigns. There are also applications such as Google Analytics which can help a business to rate how their advertising campaign is performing on Google. Putting up an advertisement on Google requires a lot of time so as to understand all the strategies, and this can be quite difficult for the novice business owner. Both of these campaigns are however similar in the fact that in both of them, the business person needs to ensure that their Pay Per Click advertisement is compelling enough to attract potential clients. Also, both of them have rules that have to be followed in order to ensure that an advertisement is not declined, or that the advertiser is not banned. It is important to read through all the advertisement policies before setting up a Pay Per Click campaign in order to ensure that the advertisement is created according to the laid down guidelines. Google AdWords have so many advantages which have made the service quite expensive. Google AdWords generate more traffic and their all-inclusive analytics system ensures that the advertiser sets goals and monitors how effective the advertisement campaign. Many websites display ads from Google and this usually means that the advertisement will reach a wider audience. However, Facebook does not offer the advertiser such analytic applications, and their campaigns generate less traffic. This is because Facebook is a social website, and users are in it primarily to socialize with friends and family. This is unlike in Google, where users are there to get answers, and sometimes purchasing an item could be the answers they seek. Therefore, Facebook Pay Per Click advertisements are significantly cheaper to buy. Both advertisement methods are beneficial, and the choice solely depends on the owner and what they would like to achieve from their campaign, as well as on who they are targeting. A major benefit with Google is that the audience is more likely to purchase a product or visit a website because it provides answers to their search question. With Facebook, a major advantage is that there is a likelihood of word of mouth advertising where an individual likes your page and shares it with friends and family through their profile.